Most guys think skincare/beauty tips are only for the ladies, but their are deeply wrong. Keeping your skin in good shape is very important. It is one of the very first things people that meet you notice about you so if you’re looking to make a good first impression, you need to have good skin. 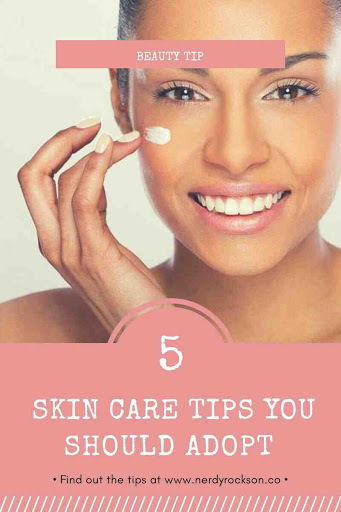 Here are 5 skincare tips you should adopt. If you’re looking to keep your skin in good shape as you get older, keeping it clean regularly can be a start. Washing regularly, especially after an intense workout or contact with pollutants can help keep dead skin cells from settling into your skin pores and making them larger. Smoking is as bad for your health as it can get. It increases your risk of cancer and several respiratory diseases but can also negatively affect your appearance. Even occasional smokers are at risk as smoke and nicotine starve your skin cells of the oxygen and nutrition they require. The best time to start working towards what you want is right now. The earlier you start to address the issues that affect your health and well being, the better for your health. very good and help to improve your appearance considerably. It also helps you notice whatever skin problems you might have developed faster. In your bid to keep your face and skin clean, ensure you’re not worsening any pre-existing issues by over-scrubbing your face. Over scrubbing your face can harm your skin cells and stretch your pores.Over-exfoliating can also lead to the eventual wear and your tear of your skin. I as a guy I follow these routine daily. As a guy/girl you wouldn't want people spacing themselves from you the first day you met them. Like I said the first thing people notice about you when their meet you for the first time is your skin and how it glows.